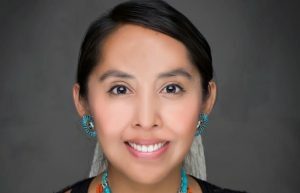 The Bureau of Indian Education funds this need-based fellowship for students pursuing graduate or professional degrees. Students receive $3,000-$4,000 a year. 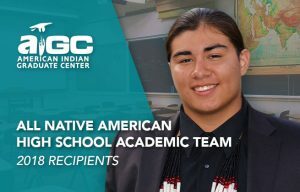 AIGC honors ten American Indian and Alaska Native high school seniors who have applied to college and who demonstrate outstanding original academic, artistic, or leadership qualities. Students receive a $250 award. 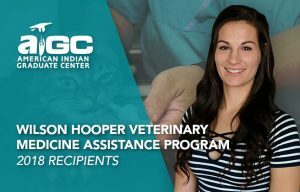 This need-based endowed scholarship funds undergraduate and graduate students pursuing a degree in Veterinary Medicine (DVM) or Veterinary Technology (AAS). 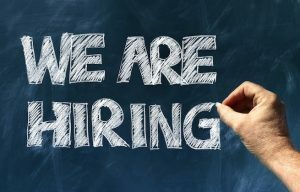 The Accenture American Indian Scholarship Fund is a merit-based scholarship sponsored by Accenture that funds undergraduates in engineering, computer science, operations management, management, finance, marketing and other business-oriented fields. Students receive $2,000-$2,500 a year for four years. 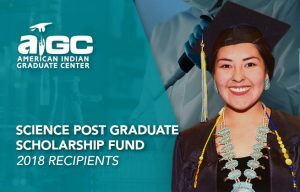 The Science Post Graduate Scholarship Fund (SPGSF) is a merit-based Bureau of Indian Education program that funds undergraduate, graduate and professional degrees in Science, Technology, Engineering and Mathematics (STEM). Undergraduate students receive awards up to $20,000; graduate students receive awards up to $30,000 per year. 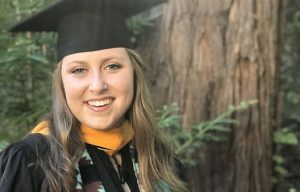 The graduation rate of 95% for SPGSF scholars far exceeds the 41% national postsecondary graduation rate given for American Indian students from the National Center for Educational Statistics. AIGC condemns the racially motivated harassment Nicole Johnny endured at the Los Angeles KKW Beauty pop-up shop. 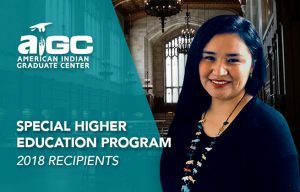 AIGC will use the Shakopee Mdewakanton Sioux Community grant to provide scholarships to Native American business students. The American Indian Graduate Center announced a $5000 grant received from the Shakopee Mdewakanton Sioux Community today. 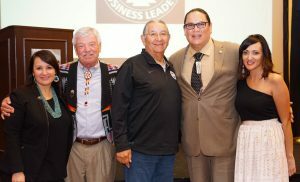 The grant will be used to support the recently endowed American Indian Business Leaders scholarship. 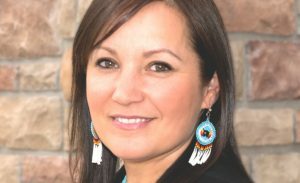 Are schools doing all that is necessary to protect and affirm Native students, or are they merely accepting their tuition dollars? (Albuquerque, New Mexico-May 8th, 2018)– Last week at Colorado State University, two young Native American brothers were stopped and questioned by university police while attending a campus tour as a result of a call made by a suspicious parent.